Clifton, NJ – September 8, 2015. 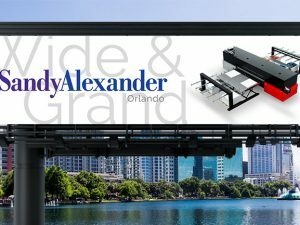 Sandy Alexander, a leader in integrated multi-channel communication solutions announced today that the newly acquired 98-inch Rho 1312 UV inkjet press is significantly increasing speed-to-market for its customers. 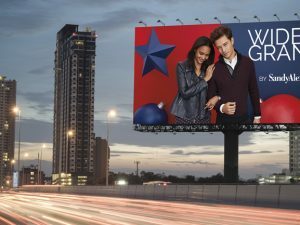 In the company’s continuing effort to exceed customer expectations, Sandy Alexander brought the large format digital press online at its Clifton, NJ wide format division. With speed a crucial factor in every area of the business from sales response through customer service and manufacturing, the Durst Rho 1312 positions Sandy Alexander to maintain its competitive advantage by shortening manufacturing time by three to four days. This shorted turn time can significantly reduce shipping costs by reducing the use of expedited freight services. The Rho 1312, printing up to 6,600 s.f./hour, makes it the most productive 12-picoliter, hybrid UV inkjet digital press in its class. 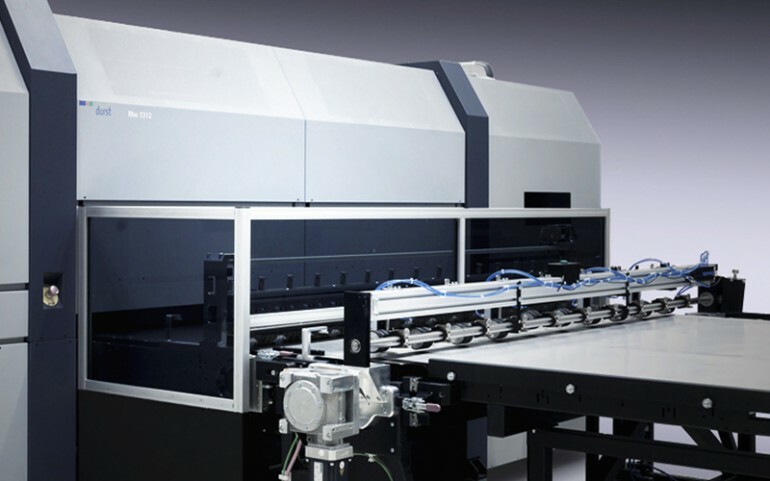 In addition, it offers improved image quality and higher gloss finish, increased reliability during printing, and unparalleled material handling flexibility, particularly with difficult and heat-sensitive materials. 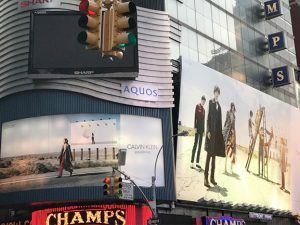 With this new technology, Sandy Alexander can deliver Duratrans, paper, and other backlit / luminous display applications of higher quality, lower cost, higher productivity, and greatly reduced environmental impact. In addition to the Rho 1312, Sandy Alexander’s Retail Visual Merchandising Wide and Grand Format equipment includes three Mimaki Die Sub Printers, three Durst 500’s, a Durst 900 and two Lambda 130 plus presses. The company has applied its industry leading cross platform color management solutions to these systems.